Two Heart Shaped Coffee Cups Conected With Each Other. 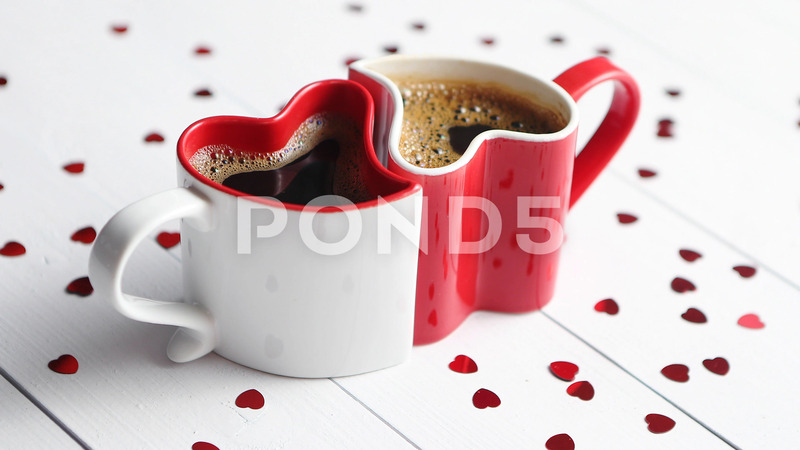 Description: Two, red and white, heart shaped, connected coffee cups placed on wooden background with sequins. Valentines or love concept. Flat lay, top view.